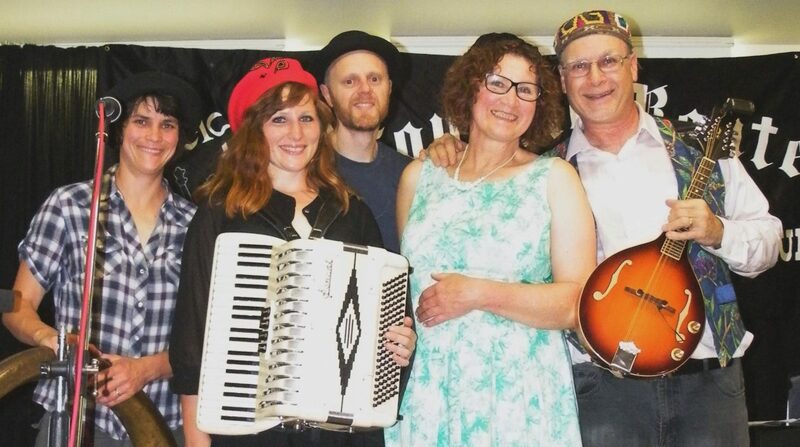 Storyteller Mona Williams and the Klezmer Rebs helped raise over $1200 for Temple Sinai at Sunday’s L’Chayim fundraiser. Mona told an Issac Bashevis Singer story about a ‘ fools paradise’ and a personal story about the man who created the stained glass windows at the synagogue. The Rebs threw a few of our story-songs into the mix. Thanks to all who attended for your support.